So much for touhou hatred, at the last i tried to overcome it. Well its already an old issues. Lets try to start new life ok? 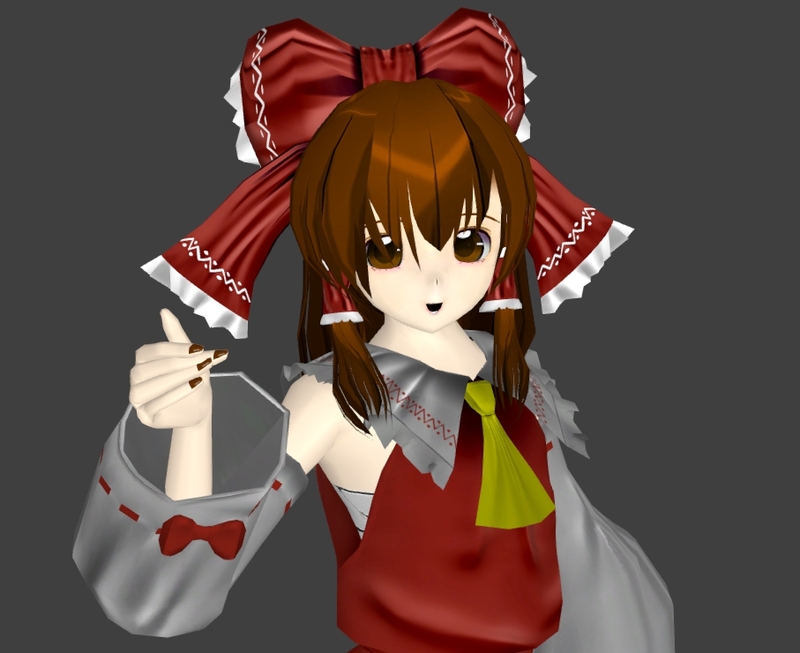 Reimu as the first model i create because its the first touhou cast from all the series. so why not give it a try~! Resulted is the model for both Garrysmod and Obsidian Conflict. Anyone who wanted to put it into workshops are free to do so.